48 mins: Carrick goes over Lescott's leg in the Everton area, but he's looking for it and the penalty award isn't given. Neither is a free kick to Everton up the other end as Neville pulls Pienaar back. The Everton midfielder still gets a shot in, but it's easily claimed by Van der Sar. 51 min: Tevez takes possession of a low cross from the right, spins out wide and hammers a shot which only just goes over the bar. That was lovely play. 55 min: Tevez is allowed to run at the Everton area, Jagielka backing off. He eventually sends a shot curling towards the bottom-right corner, but there's no power in it and Howard gets down easily to claim. 56 min: Gary Neville, whose body is slowly shutting down, is replaced by Brown. 60 min: Everton are awarded a free kick, centrally, over 30 yards out, thanks to some general Brown clumsiness. The resulting effort is low, hard, and never beating Van der Sar from that distance. 63 min: Everton are seeing a fair bit of the ball but not really doing a whole lot with it. 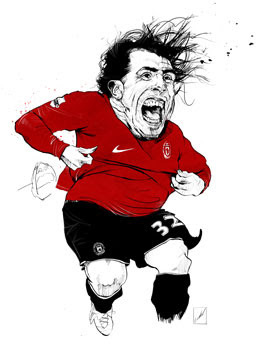 66 min: Tevez executes a fancy dragback on the edge of the Everton area, then nearly finds Berbatov in the box. Other than that piece of mild excitement, nothing much has been happening here. 68 min: Fellaini is replaced by... er, I'll get back to you about that. 71 min: Pienaar slides in on Carrick just outside the United area, to the right of the D. That should really have been a booking, but wasn't. Tevez attempts to curl the ball into the top right. His shot pings up off the wall and requires tipping over the bar by Howard. Nothing comes of the resulting corner. 74 min: Fellaini was replaced by Anichebe, who heads a long ball out left to Pienaar. Pienaar has time, but doesn't use it well, shaping to shoot for the top-right corner of the net and just about finding the top-right corner of the stadium. 75 min: Giggs comes on for Fletcher. 77 min: Everton have achieved next to nothing during this half. A very poor show indeed. 79 min: It's quite open and end-to-end, this game. Thing is, though, Everton have no cutting edge up front at all. Which is probably why United are content to keep it like this. 81 min: Carrick wins a corner after his weak shot is deflected well wide. Giggs pings it in. Ronaldo blazes a header way over the bar from eight yards out. 83 min: Vidic upends Pienaar 35 yards out on the right. Arteta swings the ball into the box. Cahill attempts an overhead kick. The ball comes off his shin and balloons into the sky. Lescott is under it six yards out. Ferdinand places a hand on the Everton defender's shoulder. Lescott falls backwards - and while he went down easily, those penalty decisions have been given. Not this time, though. Everton aren't too happy. 87 min: Park cuts inside from the left and hammers a shot towards Howard's near post. The Everton keeper is determined not to be beaten like that two games in a row, and parries clear. Edwin van der Sar, by the way, broke the English record set by Reading's Steve Death for not conceding a league goal a few minutes back there. Death, of course, didn't have a collection of the world's most expensive players in front of him while running up his 1,103 minutes. Still, well done Edwin! 2 min: The first attack for Manchester United - who, incidentally, are wearing black armbands for the 51st anniversary of the Munich disaster, which falls next Friday. Tevez, Ronaldo and O'Shea ping it around down the left, but the final ball of a crisp move is chipped through straight to Howard. Everton have barely touched the ball yet. 4 min: Fellaini clips the back of Carrick's legs just outside the Everton area. Ronaldo takes the free kick, but it's straight into the wall; Fellaini makes up for his earlier misdemeanour by spiriting the ball upfield and away from danger. 6 min: Cahill gets on the end of a long Howard punt and, running down the inside-right channel, unleashes a low shot towards the bottom-left corner. Van der Sar is forced to tip round the post, but there's no corner as Cahill is judged - incorrectly - to have been offside. 8 min: Park hits a cross from the right-hand edge of the box which somehow nearly creeps into the bottom-left corner. Howard fingertips away brilliantly, and the danger is cleared. This is a lively end-to-end start. 10 min: Some nice interchanges between Fellaini, Osman and Cahill on the edge of the United box. Fellaini looks to have sprung clear down the left, but again the offside flag goes up. The linesman is on a bit of a hair trigger today by the looks of things, because again that decision was marginal at best. 12 min: A superlative challenge by Hibbert here. Ronaldo was about to latch onto a Tevez pass down the left and scoot clear of the Everton defence, until the full-back's boot pops up to deny him. 13 min: More staunch defensive work from Everton, this time from goalkeeper Howard. Berbatov returns a poor Lescott header straight into the Everton area, and the ball ends up at the feet of Tevez, six yards out and facing the goal. It's surely the opener, but... well, think Shevchenko v Dudek at the end of extra time in the 2005 European Cup final, and that's pretty much what happens here. A wonderful save from Howard at point-blank range. 16 min: Vidic takes a smack in the mouth after smashing his face into the back of Fellaini's head, the Everton midfielder's luxurious bouffant failiing to cushion the blow. 18 min: Both teams are flinging crosses into both boxes from either side. At some point one of these keepers is going to make an almighty ricket. At the moment, however, they're both claiming tricky high balls with ease. A really open game with both teams going for it, this. 19 min: Ronaldo nearly scoots free on goal but is flagged offside. Hibbert was across to slide in just before he reached the box anyway, but that's yet another dubious decision from the linesfolk; Lescott looked to be playing him on in the centre. 21 min: Cahill nearly gets on the end of a deep free kick at Van der Sar's left-hand post. But doesn't. Still, at least Everton are getting forward regularly. 24 min: Tevez tears down the inside-right channel. Baines can't make a challenge as the United striker races into the box. Tevez dinks a ball across the front of the six-yard box. It's dangerous, and it's brilliantly cleared by Jagielka. 28 min: United are beginning to turn the screw a bit. Ronaldo has another whack at goal, a much better curling strike from the left of the D which nearly creeps in the top-left corner. Howard palms the effort over the bar. The corner is a complete waste of time. 30 min: United are flinging a lot of high balls into the Everton area. Everton are just about dealing with them, but there's a sense their opener is just a matter of time. That means their manager should take off Berbatov and replace him with Brown. Yes, I've been reading 'How Not To Lose Games But Still Alienate People: The Art of Football Management' by Rafa Benitez." 33 min: Neville rolls a simple ball straight down the middle, into the United area. For some reason Fellaini - free in the centre - lets the ball roll through his legs, when it would surely have been simple enough to trap the slowly-moving pass, turn, and have a crack at goal. United fell asleep there. 34 min: Carrick tries to hook a shot home from an acute angle on the left. His effort is just wide. 36 min: Baines bustles free down the left. He reaches the byline but his attempt to dink a cross over Van der Sar is weakly hit and the keeper snaffles the ball without fuss. 39 min: United have taken their foot off the gas a bit here. Fellaini and Baines are seeing a lot of the ball down the left at the moment. 41 min: Baines has got the better of Neville, for whom it might all be over sooner rather than later on this evidence, six or seven times down the left. If he'd managed to put in one decent cross, Everton could be a goal up. As it stands, every single time he bowls into space, his crossing is either panicky or ponderous. 44 min: GOAL! Manchester United 1-0 Everton. Carrick bustles into the Everton area down the inside-left channel. Arteta nicks his ankles. Carrick attempts to stay on his feet, but it matters not: the ref points to the spot. Upon which Ronaldo places the ball and hammers it straight down the middle as Howard dives off to the right. HALF TIME: Manchester United 1-0 Everton. Carrick has a wallop from 25 yards out. Howard makes a right song and dance about holding onto the low shot, the ball squirming towards the lurking Berbatov for a split second. And that, pretty much, is that for the first half. Sir Alex Ferguson feels Cristiano Ronaldo is only just coming to terms with the fact that he is never likely to repeat his "miracle season". Ronaldo won every major personal honour in the game, culminating in the FIFA world player of the year award, on the back of his incredible 42-goal haul as Manchester United won the Premier League and Champions League last term. Although he had to overcome a summer ankle operation and the intense speculation about a move to Real Madrid before he could get back in the thick of the action this season, the 23-year-old started in superb fashion, but, after notching nine goals in his first 12 appearances, Ronaldo suddenly hit a standstill. Apart from a goal against Gamba Osaka in the Club World Cup, the Portugal superstar did not find the net once in two months. However, after converting a penalty in the Carling Cup semi-final win over Derby, Ronaldo then scored twice in the midweek hammering of West Brom, leaving Ferguson to conclude the former Sporting Lisbon star is at last acknowledging he cannot expect to enjoy the stunning achievements of 12 months ago as a matter of course. "It was a miracle season," reflected Ferguson. It is hard to imagine he can replicate that again. But I am not sure that Cristiano understood it was a miracle season. He had the belief it was normal for him and I think he just expected to carry on. But one of the situations he had to face was that this year couldn't be as good as last season. Now he has started to come to terms with the whole thing, we will see more goals from him." It is not that Ronaldo's talent has lessened, just that opponents are now concentrating on ways to stop him. Two, sometimes three markers are commonplace for Ronaldo now. In theory that should mean more space for his team-mates, although until recently, that has not been translated into an improvement in the overall United goals output. "You often comes up against a brick wall in football," said Ferguson. "Opponents can make it difficult for you because they analyse you better. 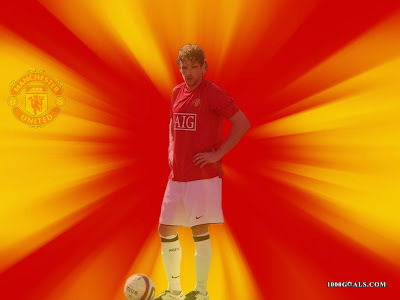 They put more emphasis on stopping Ronaldo, although we have been missing chances from a few departments not just him." However Ferguson now expects Ronaldo to go past the 20-goal mark for the third season in a row. Currently, the winger is on 13, which is not a bad tally for a wide-man at this stage of the season, even if it is only a quarter of last year's phenomenal total. "People are saying Cristiano has not had a good season but he has got 13 goals and 11 assists," said Ferguson. "If you dismiss last season altogether they would be saying it is incredible for a winger to score 13 at this stage. I am absolutely certain he will end up with over 20 again." Manchester United boss Sir Alex Ferguson says Owen Hargreaves will be fit for the start of next season. Hargreaves has been forced to undergo two operations under the guidance of Colorado-based knee specialist Dr Richard Steadman in a bid to cure a tendinitis problem that has plagued him since his arrival from Bayern Munich 18 months ago. There have been suggestions if surgery does not prove successful for the Calgary-born midfielder he will be forced to retire from the game however, Ferguson reports the operations have gone well, allowing Hargreaves to begin a long recovery programme that should get him back on the pitch again by August. Last season Everton were beaten by a late Cristiano Ronaldo penalty at Old Trafford after the winger had given United the lead only to see Tim Cahill equalise. The match at Goodison earlier this season ended 1-1 with Marouane Fellaini and Darren Fletcher scoring. Everton have won just one – at Goodison in April 2005 – of the last 28 meetings since the 1995 FA Cup final win, with just five draws. Their last win at Old Trafford was in United’s opening Premier League home fixture in August 1992. They won 3-0, which has still not been surpassed by a visiting team in the league since, although Chelsea also won 3-0 in December 2001. David Moyes has one victory and three draws from his 14 meetings with Sir Alex Ferguson. There have been only six hat-tricks in matches between the sides, the most recent being the four goals scored by Ole Gunnar Solskjaer in December 1999 at Old Trafford. 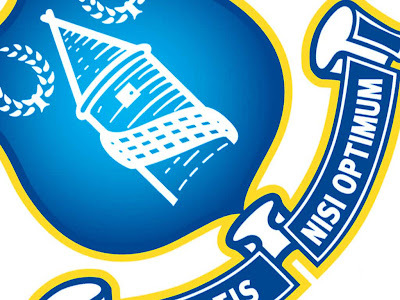 The last Everton hat-trick was the five goals by Dixie Dean at Goodison in October 1927. No Everton player has scored a hat-trick in a first-team fixture at Old Trafford, although Alex Latta netted four goals in 1892 when United played at the North Road ground under their original name of Newton Heath. Leon Osman has a hat-trick against United to his credit – in a reserve team fixture in January 2003. Both Neville brothers have conceded own goals in the fixture – Gary at Old Trafford on Boxing Day 2003 and Phil (with Everton) at Goodison in April 2007. The brothers are one of only four pairs to have faced one another in Everton games. Two of Leighton Baines’ four career goals have been scored against United – both for Wigan in 2006/07. Tim Cahill has happy memories of Old Trafford, not only did the Australian score for Everton on his last visit but in 2004 he made his Toffees debut on the ground, having also struck the winner for Millwall in their FA Cup semi final win over Sunderland at the venue earlier in the year. United’s John O’Shea has scored at both ends in matches against Everton, and has also achieved the same feat against Liverpool, for a unique double. 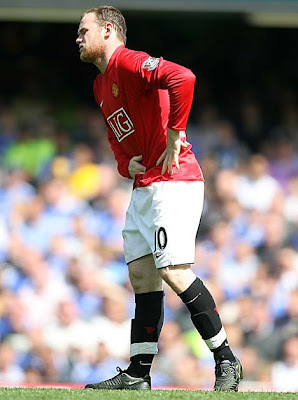 Five players have been sent-off in the fixture – the most recent being the double dismissals of Gary Neville and Paul Scholes at Goodison – United’s only red-cards in league matches against Everton – in April 2005. The Toffees’ most recent sending-off is David Weir at Old Trafford in October 2002. Ryan Giggs made his Manchester United debut as a 17 year-old against Everton in March 1991. Edwin Van der Sar – who has just broken the Premier League record for minutes without conceding a goal - was the Fulham keeper for David Moyes’ first match in charge of Everton in 2002, and the Dutch international conceded a goal from David Unsworth after just 32 seconds. If Joleon Lescott appears on Saturday the centre-half will become only the sixth Everton player to record 100 successive league appearances and only the second after 19th century great Jack Taylor to do so from the start of their Goodison career. Everton have not been awarded a league penalty against United for nearly 20 years – the last being in September 1989 when Kevin Sheedy missed at Goodison. You have to go back to August 1972 to find Everton’s last successful league spot-kick against United, converted by Joe Royle at Goodison. Since Cristiano Ronaldo scored after 23 minutes of the fixture at Old Trafford in December 2007, the Toffees have conceded first-half goals in only two of the 20 away league matches played. ALEX FERGUSON reckons the Manchester United strike force can break through the 80-goal mark this season and carry them to glory. All the recent chat has been about the 1032 minutes since United last conceded a Premier League goal and the fact United haven't conceded in eleven straight games but now Fergie wants his strikers to get themselves in amongst the headlines and start scoring freely much as they did against West Brom on Tuesday night as they dished out a 5-0 thrashing and the United boss believes Dimitar Berbatov, Wayne Rooney, Carlos Tevez and Cristiano Ronaldo can all go on and get 20 goals each this season. 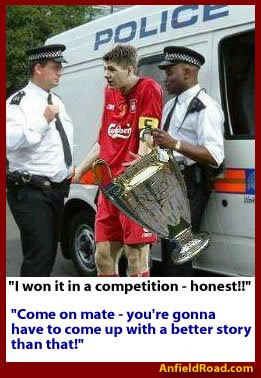 Ferguson said: “I certainly think they are capable of doing it. Quite rightly the defenders have been taking the credit this season up until now. I just hope now that it’s going to be the forwards who take the credit. The case of Ronaldo is a good one. Last year was a miracle season. To score 42 goals as a winger, it is hard to imagine he could replicate that. Yet people are saying he has not had a great season but he’s still got 13 goals for us and had 11 assists. United look confident on top of the table, two points clear of nearest rivals Chelsea with a game in hand ahead of today’s home task against Everton. If they can chalk up a win today they can sit back and watch at least one of Liverpool or Chelsea drop points as they do battle at Anfield tomorrow. 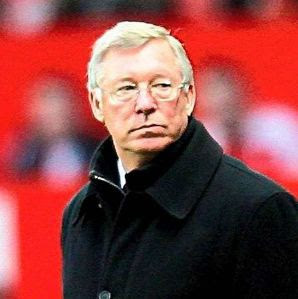 Manchester United manager Sir Alex Ferguson has had informal talks with Prime Minister Gordon Brown and Lord Coe, chairman of the 2012 organising committee, last year over the possibility of spearheading a bid for gold on home soil but Ferguson has confirmed he has no interest in a career in international football. ''No. I won't turn to international management, 'When I've finished here, I think I deserve a rest. After here, I'm finished." There is a chance that GB wont even enter a team anyway because Scotland have some kind of problem playing alongside England. Not that it is too likely many Scots will be picked anyway given the stregth in depth of England. Wales and Northern Ireland have also been fearing that making a combined side for the Olympics could jeopardise their position within FIFA. But just last month, when asked at a Downing Street press conference what he wanted for Christmas, Brown said: ''That we have an Olympics team for the 2012 Olympics that is a football team from Britain." Earlier last year, however, Ferguson, 67, insisted that he was too old to guarantee his involvement. FIFA have issued a statement this afternoon saying that they have decided Nemanja Vidic will serve a one-match ban in the Champions League as punishment for his red card in the Club World Cup final. Vidic therefore misses the first leg of the last 16 tie against Inter Milan on 24 February. He has also been fined 5,000 Swiss francs, equivalent to just over £3,000. Grenoble have a youngster who has caused quite a stir with Manchester United, Arsenal and Liverpool. Sofiane Feghouli has raised a few eyebrows with his talent. He is currently with Grenoble. Now, Grenoble is a place/team I haven't heard of so I had to Google it. Apparently it is a city in South Eastern France situated at the foot of the Alps where Drac joins the Isere River, in case you were wondering. Sofiane Feghouli began his career with Grenoble having been turned down by Paris Saint-Germaine. In his first season he made it to the first team and he made his highly anticipated debut, at the age of 17, for the club on April 27, 2007. in a Ligue 2 match against Stade Reims appearing as a substitute. He would make two more appearances that season including his first start on the final match day of the season against Montpellier HSC. 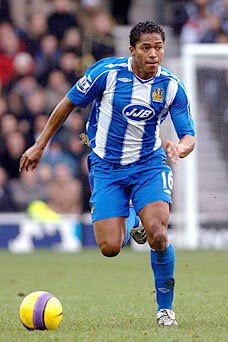 The following season, he signed his first professional contract with Grenoble keeping him with the side until 2010. The following season, he was handed the first-team number 8 and still aged only 17 he was then compared to Zinedine Zidane, so no pressure there then. His first career goal was against the club he made his debut against, Stade Reims in a 4-3 victory. Manchester United posted scouts to check on Feghouli earlier this month, while Arsenal and Liverpool are also long-term suitors. "There isn't a 'Feghouli dossier'," said Pierre Wantiez, Vice President of Grenoble. "Quite simply, there is a good player called Sofiane who must stay at Grenoble at least another six months. He said to us that he wanted to stay and play at Grenoble. This 30m euros thing, it is a way of saying that he will not leave and will stay until the end of the season. We are going to see what he wants to do. We are discussing and he will perhaps leave this summer. We will see." Can Anyone Stop Manchester United Now? You can't score past them, let alone defeat them, so how do you stop Manchester United from winning the Barclays Premier League now? United have gone 11 games without conceding a single goal — just take a moment to dwell on that, it is something quite special for a team with such attacking principles. Liverpool, meanwhile, are going backwards. It’s hard to imagine they have not won since the performance of the season in hammeringNewcastle 5-1 on December 28. They haven’t won a league game since. The decision to take off Steven Gerrard — who was not injured — at Wigan is confusing. What message does it send out? Gerrard will win you a game standing on one leg, so I don’t understand what was behind the change. It is four games without a win now and Chelsea up next. This is their biggest fixture of the season. Win in front of Sky’s cameras and the confidence will return, but if they are beaten it’s hard to see how they can challenge for the title. That’s how important Sunday’s game has become. Now United, with Rio Ferdinand back from injury and Wayne Rooney still to return, appear very focused and moving towards their best form. They have an annoying ability to find their top gear as the season approaches the business end of proceedings. Carlos Tevez, with his loan contract running down, has rediscovered his touch in front of goal and with Rooney absent through injury, he is seizing his chance back in the spotlight. United’s players seem to be coming to the boil, while Liverpool’s seem to be falling away. Torres has yet to rediscover his touch (he will, but it needs to be quick) and unless Gerrard is winning matches, they are lacking others who can. 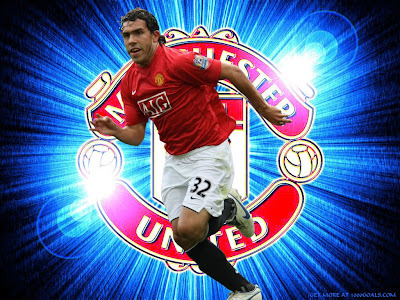 Chelsea and Manchester City have joined Real Madrid in the scramble for the services of Carlos Tévez if the Manchester United forward prices himself out of a long-term contract at Old Trafford. United are currently negotiating to sign Tévez permanentlyonce their two-year lease arrangement expires in June, but progress has been slow with Kia Joorabchian, head of the companies that own the player’s economic rights, maintaining that they must pay a fee of £22 million in addition to the downpayments of about £10 million that have already been made and a salary well in excess of £100,000 a week. Other clubs have been alerted to the impasse and while Real’s interest is well-known, Chelsea and City have also made clear their desire to be kept informed of developments. The Argentina forward has expressed a preference to stay with United but, as well as the financial complications, he has been frustrated at times this season by his demotion to third choice behind Dimitar Berbatov and Wayne Rooney. Madrid would be his preferred destination if he were to leave United, but Chelsea and City would offer alternatives. Given Manchester United's recent injury woes Sir Alex has been having a scout around Europe in order to back up the 'ailing' defence. Even though we have had eleven consecutive clean sheets, it must be addressed with Champions League games fast approaching and United still battling on two fronts for FA Cup and Carling Cup glory as well as the Premier League. The agent of Christian Panucci won't rule out a move to Manchester United for the Roma defender. United boss Sir Alex Ferguson is considering the want-away veteran over concerns for his injury-hit defence. When asked about Manchester United’s reported interest in Panucci, his agent Oscar Damiani said: “Once again, I am not aware of anything. There is nothing concrete. I have not received anything from United or Lyon. Carlos Tevez might struggle at times to get first team opportunities with Manchester United when Wayne Rooney is around but he is always an automatic choice for Argentina, currently managed by Maradonna. He has just been named for the squad that is due to play France in a friendly on February 11th. The match is being played in Marseille which is a God send as it means Tevez wont have to fly to Argentina and back in mid week, which is nit ideal preperation for a Saturday match. Goalkeepers: Juan Pablo Carrizo (Lazio), Sergio Romero (AZ Alkmaar). Defenders: Javier Zanetti (Inter Milan), Martin Demichelis (Bayern Munich), Gabriel Heinze (Real Madrid), Daniel Diaz (Getafe), Nicolas Burdisso (Inter Milan), Walter Samuel (Inter Milan). Midfielders: Javier Mascherano (Liverpool), Fernando Gago (Real Madrid), Maxi Rodriguez (Atletico Madrid), Jonas Gutierrez (Newcastle United), Luis Gonzalez (Porto). Forwards: Lionel Messi (Barcelona), Sergio Aguero (Atletico Madrid), Carlos Tevez (Manchester United), Ezequiel Lavezzi (Napoli), Lisandro Lopez (Porto), German Denis (Napoli), Ángel Di Maria (Benfica). Real Madrid have been busy behind the scenes badgering Wigan to sell their Ecuadorian star Antonio Valencia and now it is Sir Alex Ferguson's turn to step in and upset the apple cart for the Spaniards as he has had an interest in Valencia for some time. Madrid, along with United, have held a long-term interest in 23-year-old Valencia, it has been reported that Wigan have demanded £18million from Real in order to let Valencia leave the JJB Stadium. 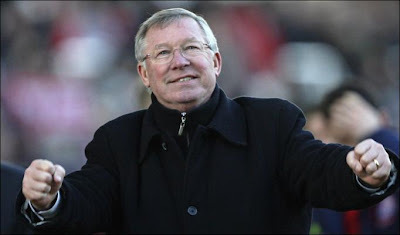 Sir Alex Ferguson was hoping he could leave it until the summer transfer window before making any move to bring Valencia to Old Trafford, but with new Madrid coach Juande Ramos desperate to recruit a winger to the Bernabeu in January, Ferguson is understood to have approached Wigan asking for first option and an asking price for Valencia. Manchester United are believed to be favourites to land Valencia, with Ramos reportedly wanting to take the winger on loan initially from Wigan and make the deal permanent in the summer, which is not a good deal for Wigan at all as they need him for there push for a place in Europe next seasona s they are currently seventh in the league. Ole Gunnar Solskjaer, manager of Manchester United's reserves for thise who don't know, has named a strong side for United’s Reserves match against Liverpool at Altrincham’s Moss Lane tonight. Of the eleven he has chosen five have first team experience which, in this league, means a lot. The five 'first teamers' being Tomasz Kuszczak, Rodrigo Possebon, Brandy, Lee Martin and Serbian winger Zoran Tosic. Tosic was actually in action Tuesday night as a substitute for the first team in the 5-0 mauling of West Brom but if he is chosen tonight it will be his very first start for United at any level. Ritchie de Laet, who arrived from Stoke City recently, starts at the back, while Lee Martin makes his first United appearance since returning from a loan spell at Championship outfit Nottingham Forest. West Brom defender Paul Robinson has had his red card against Manchester United rescinded by the Football Association. The 30-year-old had faced a three-game ban after he was shown a straight red by referee Rob Styles following his first-half challenge on Park Ji-Sung in Tuesday night's 5-0 defeat to Manchester United at the Hawthorns. The FA have, however, overturned the decision on appeal after viewing replays of the incident, freeing the left-back to play against Hull this weekend. This is one of those rare occasions when the FA gets it right. Robinson meant no agression to Park Ji-Sung when he went in for that challenge and this is great news that he is free to play this weekend. Zlatan Ibrahimovic has made fun of Manchester United star Cristiano Ronaldo's Ballon d'Or victory. The award which is voted for by sports journalists around the globe, was given to Cristiano Ronaldo last month for his sparkling season at Manchester United. United finished the season as Premier League winners and Champions of Europe and on the way to these victories Ronnie fired in an incredible 42 goals in 49 games. However the Swedish international, currently playing for Inter Milan, believes the award means nothing. He said: "Now the Ballon d'Or has become a publicity stunt. It all depends on what people see in order to judge. For me it is more important to win with the team rather than anything else." Rafael Benitez again chose to leave out Robbie Keane and Liverpool duly went on to blow their chance of joining Manchester United at the summit of the Premier League. The Dubliner was only introduced after Mido had cancelled out Yossi Benayoun's opener, remarkably replacing Steven Gerrard almost 20 minutes after Benitez had withdrawn the exhausted Fernando Torres. The logic behind this substitution was completely beyond me. Gerrard is the only player at Liverpool who shows a modicum of continuity and in the past he has single handedly saved Liverpool from some rather dodgy results. So what does Rafa do, he takes him off. Amazing! Both Albert Riera and Dirk Kuyt were preferred as substitutes to the £20m signing from Tottenham as Liverpool sought without success to build on their lead. Instead, debutant Mido equalised from the penalty spot with eight minutes left. It leaves Liverpool two points adrift of United, treading water in the title race and Keane's future open to question. West Brom lodged an appeal within two hours with the Football Association over the red card Paul Robinson received in Tuesday night's 5-0 defeat against Manchester United. Robinson was dismissed late in the first half of the defeat at the Hawthorns by referee Rob Styles for a challenge on Park Ji-Sung, but WBA believe the incident did not warrant a dismissal. An FA spokesman confirmed that a disciplinary hearing will take place on Thursday at 1pm to decide whether Robinson's three-match ban should be overturned. The reaction of Robinson said it all for me, he was absolutely shell shocked when he saw the red card. The Manchester United players also showed signs of non-belief with Ryan Giggs putting his arm around Robinson as he left the field. Not one word of complaint about Robinson has come from Sir Alex or the victim of the challenge Park Ji-Sung which says to me they are happy for an appeal to take place and if Robinson is vindicated from his actions, they wont be annoyed. West Brom had a mountain to climb as soon as the whistle went last night in all honesty and they would have been 2-0 down at half time anyway, but to be 2-0 down AND reduced to ten men just wrote them out of the equation, it was a foregone conclusion United would win this one. Manchester United's current run of good fortune and good results as well as their record breaking exploits continues today with news that their lengthy injury list is shrinking faster than the Bishop's nether regions after he had been with the actress. Central defender Rio Ferdinand returned at West Brom on Tuesday after a back injury as United trounced WBA and Edwin Van Der Super Star became the new record holder as he reached 1032 minutes without conceding a goal. All of which helped the champions move three points clear at the top of the Premier League with a 5-0 victory. They now have the best goal difference in the league too. Midfielder Park Ji-Sung and defender Wes Brown also took part at The Hawthorns and manager Alex Ferguson hopes to have Patrice Evra and Nani fit to face Everton at Old Trafford this Saturday. "Things are looking up and players are starting to come back," Ferguson said, "Patrice may have a chance for Saturday against Everton. If the game had still been on Monday I'd say he'll definitely play. But he's still got a chance of making it. Nani should also be fit for Saturday as well". Wayne Rooney is still recovering from a hamstring and Jonny Evans, Rafael, Fabio and Anderson are also sidelined. "Wayne has never had a hamstring injury before and there is no way we will bring him back early, he's doing terrific work in the gym and, in terms of his rehabilitation, he is on the mend. But we said at the time he was injured that it would be three or four weeks before he would be fit and there is no change there." Cristiano Ronaldo has continued his phenomenal car spending spree by splashing out £150,000 on a registration plate. The Manchester United winger has forked out the massive amount on the registration plate ‘CR7’ denoting his initials and shirt number for United and Portugal. 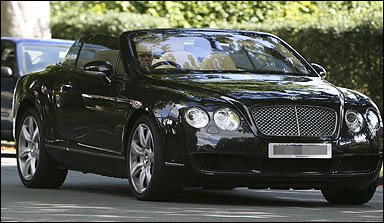 Ronaldo’s latest purchase again follows in the footsteps of United’s previous star number 7 – David Beckham. When former England captain Beckham was at Old Traffordhe bought himself an Aston Martin DB7 - and aptly chose the registration plate ‘DB7’ and Beckham – who has owned some of the world’s most exclusive cars – recently got his hands on a £350,000 Rolls-Royce Phantom Drophead Coupe. Ronaldo has followed suit, recently ordering a Phantom Drophead Coupe through luxury dealer Liquid 45. The plate won’t be going on his convertible Rolls-Royce, but on his Bentley Continental GTC, according to The Sun newspaper. Despite being aged just 23, multi-millionaire superstar Ronaldo is fast gaining a reputation for being one of football’s biggest petrolheads. Over the past few years, the £130,000-a-week winger has owned a Porsche Cayenne, Porsche 911 convertible, Ferrari F430, Audi R8 and BMW M6 alongside his Bentley. It’s also believed Ronaldo is on the waiting list for an £830,000 Bugatti Veyron after being impressed with the car's performance when he raced one for a Nike commercial. While an enormous amount of money, the £150,000 paid for the plate ‘CR7’ is significantly less than the world record £7 million a billionaire from the Middle-east paid for the plate ‘1’ and Chelsea owner Roman Abramovich has also been involved, splashing out £285,000 for the plate VIP 1. Manchester United's Serbian international central defender Nemanja Vidic is waiting for UEFA's verdict on Friday as to whether he will receive the mandatory one match ban for the straight sending off he received in the Club World Cup or whether they will extend it to three games should they deem the challenge as serious enough to warrant that. Vidic received the straight red card for 'violent misconduct' after elbowing Claudio Bieler who plays for Ecuadorian champions Liga De Quito in the Club World Cup in Tokyo in December. Under the normal rules, if a player is sent off for misconduct during this tournament he is to serve a minimum one game ban in his confederation’s tournament, theUEFA Champions League. But the problem arises if UEFA’s disciplinary committee deem the misconduct of a serious nature and therefore increase the punishment, which could mean a three game ban. This situation already means he will miss the first leg of the Tie with Inter Milan in the CL last 16 scheduled for 24th Feb. Should the ban be extended Vidic would miss the return at Old Trafford and the first leg of the quarter finals, should the Red Devils progress. Having not conceded a goal since Arsenal's Samir Nasri scored the second of his two goals on 8 November against Manchester United, Edwin Van Der Sar needed to survive 84 minutes against West Bromwich Albion tonight, and he did it with consummate ease. Whilst he didn't concede, his team mates scored 5 at the other end. 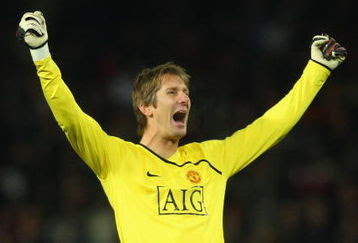 Van Der Sar is now unbeaten in 1032 minutes! Chelsea's Petr Cech held the record at 1,025 minutes, which he took from United's Peter Schmeichel in 2005. However, this is still short of Steve De'Ath's Football League best of 1,103 minutes for Reading and the British record for all competitive games, held by Chris Woods of Rangers, who once went unbeaten for 1,196 minutes (19 hours and 56 minutes). Van Der Sar can reach 1122 minutes if he can keep Everton at bay next weekend. This game also means Manchester United are the first team ever to go 11 consecutive games without conceding a goal. 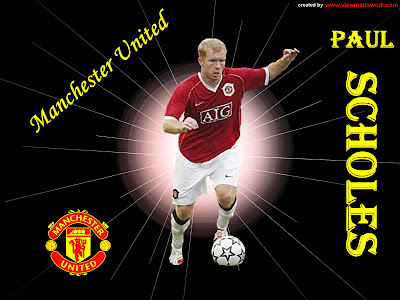 Paul Scholes says his desire to win things for Manchester United is as strong as ever. Speaking to the Daily Mirror he said: "My desire to win more trophies is still strong, Manchester United is a massive club that demands that you win things. If you are just happy to go along and not earn medals there is no point in you being here. "We are almost at the end of January now and in a great position to be successful this season. Hopefully we can see it through." "As you get older, you don't play as often which is the manager's way of looking after you and getting the best out of you. I don't go forward or score goals like I used to or would like to. We probably saw the end of those bursts into the penalty area about two years ago. It is just one of those things and something you have to accept. I know the end is not too far away for me but as long as I am here I will just try my best to help the team in whatever way I can." What a great attitude, what a great player, what a great role model, what a GREAT MAN !! Cristiano Ronaldo's Manchester United teammates spared him little sympathy after his recent Ferrari crash. 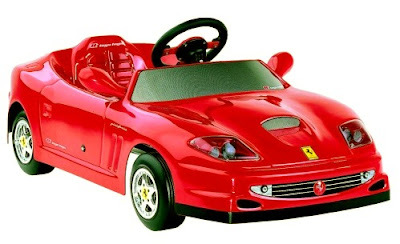 After Ronaldo wrote off his £315,000 Ferrari, his team-mates, including Anderson and Wayne Rooney, are said to have bought him a pedal car as a joke. Ronaldo said: "I feel very fortunate to be able to play at this club with this bunch." Manchester United striker Carlos Tevez is attracting interest from TSG Hoffenheim - the club backed by computer software billionaire Dietmar Hopp. 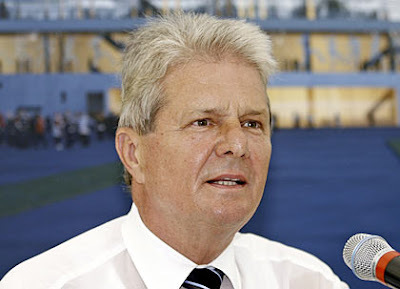 Around 1990, alumnus Dietmar Hopp returned to the club of his youth, not as a player or manager, but as financial backer. Hopp was the co-founder of software firm SAP and he put some of his money into the club. His contributions generated almost immediate results: in 2000 Hoffenheim finished first in the Verbandsliga and was promoted to the fourth-division Oberliga Baden-Wurttemberg. Another first place finish moved the club up to the Regionalliga (III) for the 2001–02 season. They finished 13th in their first season in the Regionalliga, but improved significantly the next year, earning a fifth place result. 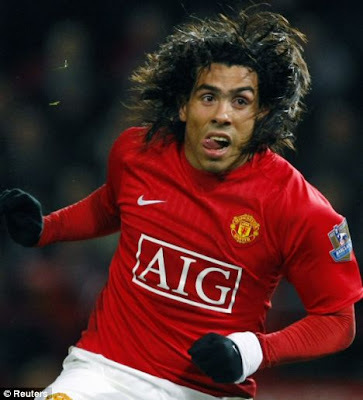 The People says advisors working on behalf of Hopp have contacted Kia Joorabchian, the Iranian businessman who owns Tevez and who is locked in stalled talks with Manchester United over the future of the Argentina striker. The Sunday Mirror reports today that Manchester United and Real Madrid are chasing Sao Paulo youngster Wellington. The player is only 17, but has made his full Sao Paulo debut. Wellington is not a big man, just 1.73m and is mostly used in a defensive midfield position. His full name is Wellington Aparecido Martins or simply Wellington and he was born on January 28, 1991 in Sao Paulo. He currently plays for Sao Paulo having made his full debut this season and wears the number 28 shirt. So far he has made just the one appearance with no goals for Sao Paulo. He has been with the club for 3 years.